In this article, I am going to offer some very brief insights into the librarians and librarianship in Venezuela, as well as some of my personal experiences in an information literacy (IL) program. Also, I comment briefly my experience as a Library and Information Science (LIS) student in Europe, as I took my Master in Norway, Estonia, Italy and Switzerland. 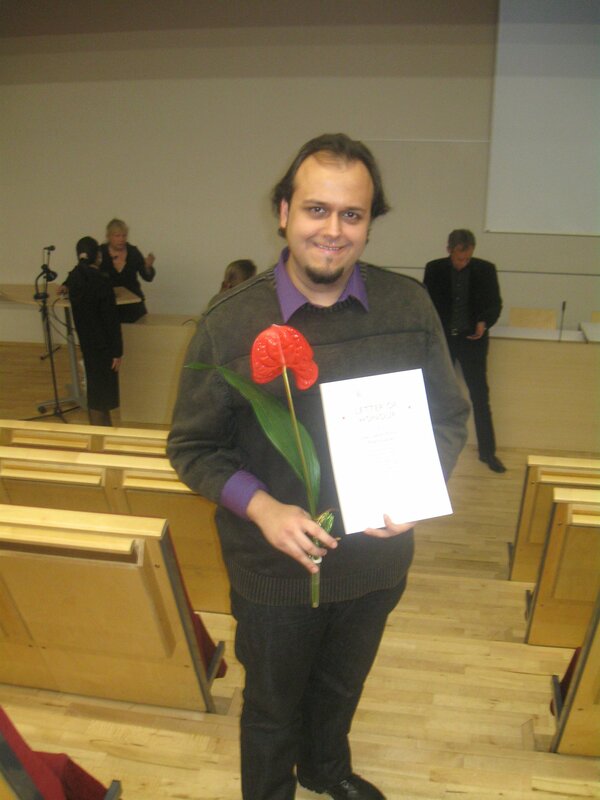 Finally I present some notes on my PhD project, currently taking place in Tallinn University. In Venezuela there are two major schools where LIS is taught, there are located in the Central University of Venezuela (CUV) and in the University of Zulia. I studied the five-year Bachelor in Librarianship in the former. 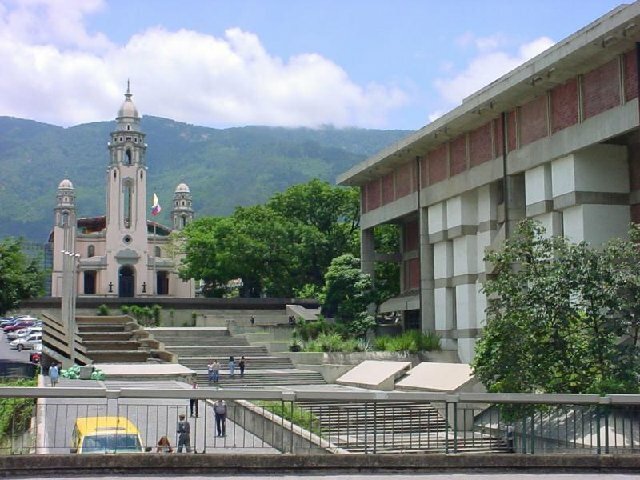 The CUV, located in the capital city of Caracas, was founded in 1721, making it the oldest university in Venezuela and one of the oldest in the Western Hemisphere. This university has been the alma mater of many of the most notable scientists, humanists, intellectuals and even some of the presidents of Venezuela. 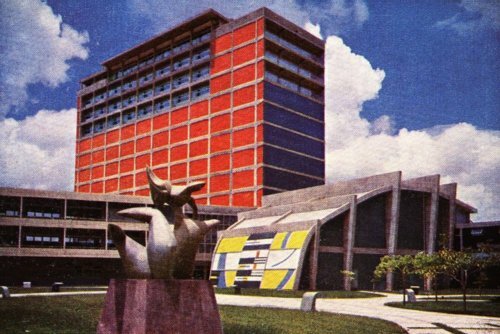 Its current location, the University City of Caracas, built between 1940 and 1960, is comprised of around 40 buildings in 2 km2, designed by Carlos Villanueva, with collaborations of international avant-garde artists of the time. In 2000, UNESCO declared it a World Heritage Site. 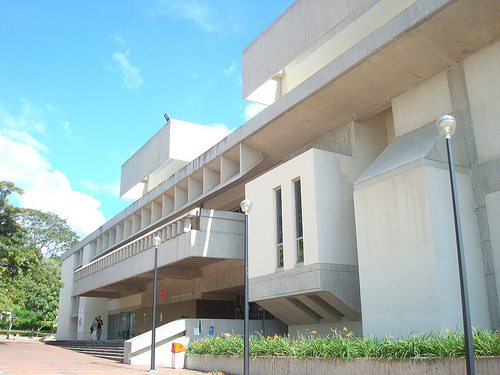 The School of Libraries and Archives was founded in 1948, it offers five-year Bachelors in Librarianship or in Archives. This school also offers two possible postgraduate degrees: a one year specialization in Networking Management and a two year master degree in Information and Communication for Development. Sadly, there are no PhD level studies in the LIS field in Venezuela. Venezuelan librarians who are motivated enough are some of the most committed, serviceable and friendly professionals in the country. In many libraries it is possible to find employees who are librarians by vocation, not by academic degrees, this is due to the fact that some abandon their studies often in their thesis stage or because they could not enter the university. However, in most of the cases I have found that nonetheless they are an invaluable human resource and sometimes they are very eager to go back to the university or take courses taught by “official librarians” and they really profit from them. I can say that I have benefited a great deal, at a personal and professional level, from meeting and working with them along my career. 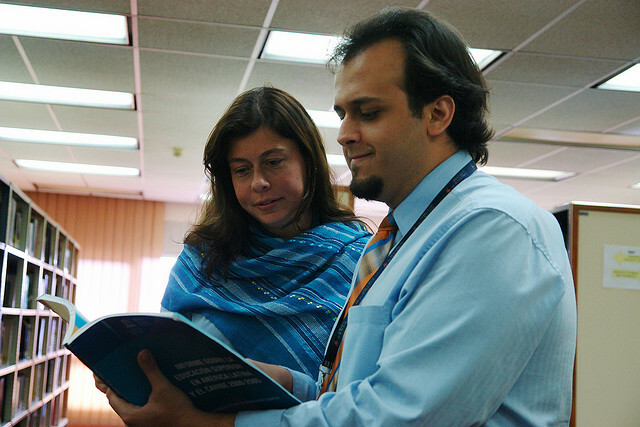 Librarians in Venezuela advocate with conviction for reading the promotion, users’ instruction, to provide the friendliest service ever and to make the most with the few resources we have. However, we struggle every day with many different challenges. The most recent being some measures imposed by the government, such as the currency exchange control that drastically reduces the ability of libraries to acquire new books and journals, as most of them must be imported. Also, there has been a reduction in the national production of publications, partly due to some erratic policies of the few privately owned editorials and, in the other hand, the government owned editorials have not escaped the political situation in the country and they are part of the same social divide. So government owned editorials only publish authors that are well regarded by the government because of their work or their favorable ideas towards their political truths. Materials published by these editorials are usually of an extreme left wing thought, to say the least. 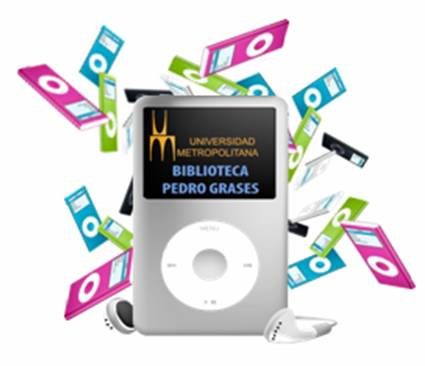 Perhaps the most important contribution I could do to the LIS field in Venezuela was while I was working as a Reference Librarian in the Pedro Grases Library of the Metropolitan University (MU). This library was named after one important bibliographer, historical and cultural researcher of the country. The most important contribution of Grases is the edition of the complete works of Andrés Bello, who wrote his influential Grammar and was one of the mentors and professors of Simón Bolívar. This library was established from Grases’ personal collection and has been enriched with further donations of the whole collections of many other important intellectual figures in the country. While I was working as a Reference Librarian, it came a time when IL started to become a popular subject. From a LIS perspective it was already customary, although in a limited fashion, to provide user instruction; and from the government, there were some initiatives labeled as “literacy”. 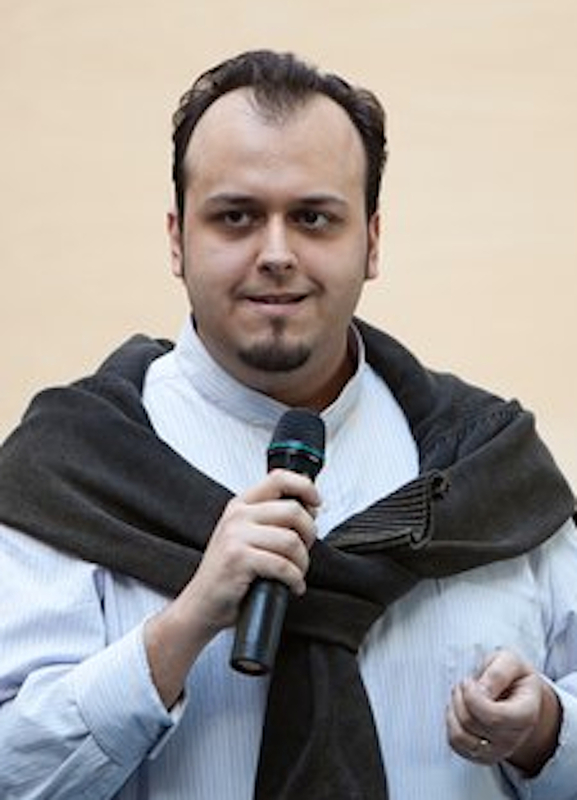 However, were based on providing access to the Internet through museums and libraries, and educating illiterate people (to overcome analphabetism). These attempts although plausible, were missing the point of IL. So, it was an important moment to start developing IL initiatives in the country, and the libraries had a good chance to gain attention, hopefully recognition as well, if the libraries could provide guidelines or at least experiences on this field. At the time, I was reading about the topic and I attended an online-transmitted inspirational lecture on IL (this lecture was given by Jesus Lau, who would later become one of my mentors and inspiration in achieving higher accomplishments), and I was also doing some learning interventions in some lecturer’s (whom I started to call “allied lecturers”) courses that were intended to help students to know how to use the library’s online resources. So, because I had such contact with the topic, I had the opportunity and the honor to coordinate the development of an IL project. There, I drafted a rough proposal, which was discussed with the other librarians working at the library. We also sought advice from some professors, especially from the allied lecturers. The IL program was called Program for the Development of Information Competencies (the program). In order to correspond adequately to the university, the program was first and foremost modeled after the educational model of the MU, which in a nutshell, is comprised by the concepts of blended learning and the development of competencies. So the program would include class activities/lectures and also online activities/resources, in order to complement the class dynamics. To fulfill the second requirement, the program was based in the development of certain information competencies. The theoretical framework in which the program was based, although not very extensive was very simple, and I believe that in such simplicity lies its beauty and applicability. This framework, apart of having its roots on the mentioned elements of the MU’s educational model, was also based on the International Federation of Library Associations IFLA core information competencies, that are divided among the headings of: access; evaluation and use of information. There were other important influences when creating the program and its modules, which are detailed on the documentation that I produced about it, available in E-prints in Library and Information Science (http://eprints.rclis.org) and in some international conferences proceedings, such as the IX ISKO Congress. Module 0 Introduction to Information Access and Searching: in this module the students were introduced on the creation of searching strategies, Boolean operators, keywords, ways to limit their searching and the use of the library catalog. Module 1 Development of Information Competencies and Internet Searching: this module would familiarize students to the core information competencies they can develop, they were also taught the principles for the evaluation of sources and to make the best possible use of internet search engines for academic purposes. 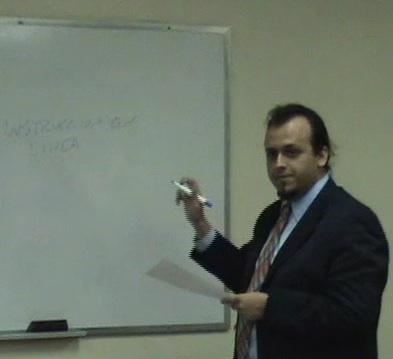 Module 2 Introduction to Academic Databases: three academic databases were introduced in this module. The choice of the databases, examples and activities used were determined by the specialty of the students. These three modules were taught in different levels, corresponding to different moments in a student’s career. The first application of the program was in three of said moments: to first semester students, to students of methodology courses (around 5th semester) and students taking the thesis seminar (10th semester). This applied to all bachelor students of all the careers taught in the university. There were also sessions arranged for groups of postgraduate students and lecturers who were interested, all this with varying levels of complexity and difficulty. Apart from the modules, there was a tradition in the library to create Powerpoint presentations about the use of the electronic resources of the library. In order to make them more attractive, we started to develop animated tutorials, which would replace the old ones and would include voice and music. These were done by combining different software applications: for audio and movie editing, and screencast software. Most proudly, these resources were made with equipment owned by the library and all production was made in house. Around 8 tutorials of this kind were made when I was in charge of them. Finally, a 10-minute video podcast was made, in order to explain our first experience and promote the program. There were many things left to do with the program. However, I am happy that I had the opportunity and the experience derived from leading a project of this kind, seeing its full first implementation, and be able to assess it. I consider it was a success, although it can be further developed including more modules, new multimedia resources, perhaps follow the lines of some social projects of the MU where the university offers free courses to the communities in need around it. Simplifying an IL program of this kind for these people in need who are living in the slums is imperative, as an important way to contribute in sensitizing and raising awareness on the use of information for their lifelong learning, culture and recreation. Hopefully to promote the culture of peace, democratic values and for this people to be able to perform more informed choices regarding their rights and duties as citizens and to improve their own lives. Finally, there is the need to open a space for dialog among other colleagues of the country to try and achieve consensus and produce a national set of guidelines, competencies or policies in IL. While I was working in the MU, after a university wide application and assessment of the program, I found the website of the International Master in Digital Library Learning (DILL), with a call for applications for students from all over the world. Thinking that was a wonderful opportunity, even too good to be true, I decided to take every step necessary in order to apply. Overcoming every challenge natural of my country and any Spanish speaking one was not easy, I had to travel to another city in order to take the English exam, to translate every academic and legal document I had, which is no easy task, in a funny way and after seeing European documents I must say we may have some of the longest documents in the world and it seems that official translating has become a very profitable profession in Venezuela. DILL is a two-year master course that takes you to at least three European cities: Oslo, Tallinn and Parma. In my case, for academic affairs I also visited Pisa, Corfu, and I did an internship period in Geneva, which can be the subject for another article, as I had the authentic pleasure of working almost a month in the library of the European Organization for Nuclear Research (CERN). In retrospect and now with a broader understanding of my own knowledge and situation, I think the most positive aspects that DILL brought to my professional life are: to get to know and have good relationships with some of the best LIS professionals and professors from all over the world; DILL also opened my mind to a wide variety of current and innovative subjects in the field, where the only difficulty is to get to choose what you want to study next. At a personal level, I got to study with 20 colleagues from 17 different countries. I got to put my English language skills to a much needed field test, as I got used to the wide variety of different accents and ways of speaking. It was also priceless to be exposed to such a wide variety of cultures and ways of thinking. As with the researchers and professors I met during those two years, I still maintain contact and friendships with some of them. When it was time to make up my mind regarding the topic for my master thesis, I discussed a very wide variety of topics with Sirje Virkus (who would later be my supervisor) and at some point we agreed that I was going to research on information behavior and social networks. The topic of the master thesis got me a bit away of my previous research, which as I wrote above, was in IL. However, that choice has shown to be quite satisfactory, as I was awarded with a second prize commendation in Tallinn University for it, and I recently published a revised and expanded version of it in the form of the book Exploring Users’ Information Behavior in Social Networks: A Contribution to the Understanding of the Use of Social Networks. The months after DILL were moments of decisions and timing. At the end I decided not to turn back and return, instead I applied for the PhD in Information Science in Tallinn University and I got accepted. Now other are the challenges: there is more independent work, the application for more permits and financial aids, normal of living in Estonia for a longer term. My current research is at the same time a logical step up from my master thesis but also a mix of other ideas and interests I have had during my career. Studying the Influence (or Mutual Shaping) of Social Networks in a Learning Experience takes as a starting point the insights I found out about users’ behavior when using social networks. In this research I designed a series of class activities and lectures in order to find out: a) some insights into how do students experience learning when they are engaged in a learning experience that uses social networks; b) to study the challenges and opportunities of using social networks in higher education; c) to discover how does the students’ different literacies (with varying levels of development according to each individual) affect how successfully/unsuccessfully they respond to such a learning experience; and d) how there is a mutually shaping phenomenon between the use given to the social networks and the learning experience itself; meaning to find out how the response of the students may shape changes in the design of this learning experience for further applications and to reshape the design of social networks from educational applications. This means that the use of social networks in education might introduce or ask for modifications in the design/features of social networks, just as the networks can produce changes in the design of the learning experience. Hence, mutual shaping, one influences the other and back again. I chose to speak about literacies in this current research, instead of just only about IL because there are an almost indeterminate number of literacies, depending on the field where different researchers that have used a literacy associated concept come from. And also, we may put different literacy based terms together under the umbrella term of literacies, or even IL, as I explain below. Consider the following working definition of literacies, as the varying degree with which an individual possesses or has mastered competencies or skills for handling information of different nature or information in different media or format, such as: new literacies, digital literacy, media literacy, numerical literacy, scientific literacy, musical literacy and so on. What all these and other sorts of literacies have in common is that they define the ability to handle a certain kind of information. This is why I state that they all belong under the terms literacies or information literacies. However, for practical reasons and because I am interested in information handling as a general purpose skill and also in the handling of information technologies (social netwoks), I am going to limit this research to information literacies and digital literacies. I expect to redefine my methodology and conduct my final study in the upcoming months. By judamasmas in Research on 2011/12/17 .